The Club’s role is to encourage and support people with disabilities. These sessions are aimed at anyone with any additional support need. You don’t need to be registered as disabled or have a diagnosed condition to attend. We enable people of all abilities to experience the joys of sailing, rowing and paddlesports in a safe and friendly environment. Staffed by qualified instructors and volunteers, the club meets every Saturday. Groups and individuals are welcome. 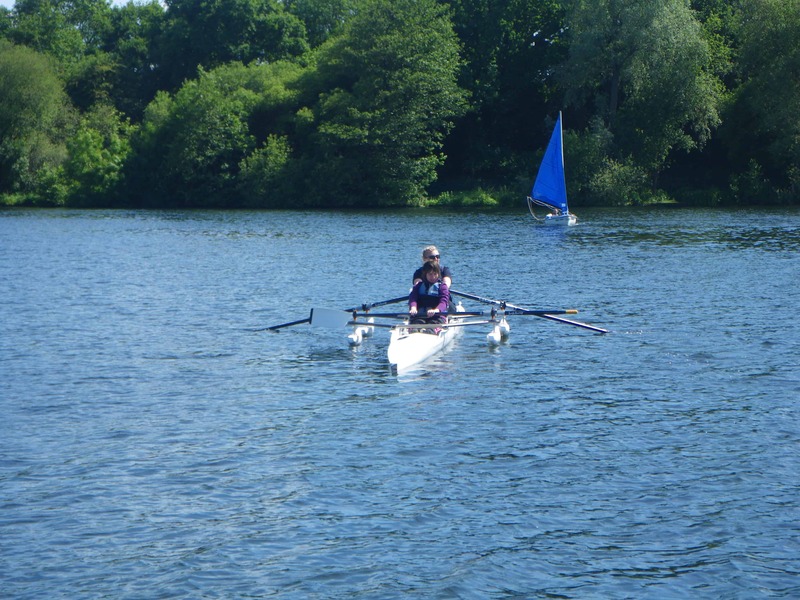 To enquire about the Club, please contact the centre on 01895 824171 or email [email protected] or [email protected] about rowability. Would you like to learn something new or share your knowledge? If the answer is yes to any of these questions, come and volunteer at HOAC! Volunteer helpers to work with our Challenger Club (Disabled and Special Needs Sailing & Watersports Club). Next training session happening in April 2019. All volunteers who are 16 and over will be required to have completed a criminal record check. For more information please email [email protected] or call 01895 824171. If you are under 16, why not check out our Young Leaders course? *Free to those who sign up as volunteers. This is a fun day when all participants will be given the opportunity to try kayaking, canoeing, sailing, rowing and powerboat rides. 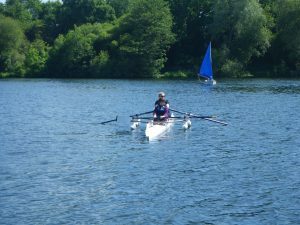 No previous experience is necessary but participants must be 8 yrs and over and confident in the water (in the event of a capsize). 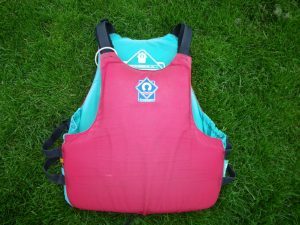 The Centre provides buoyancy aids and these must be worn by all those going afloat. 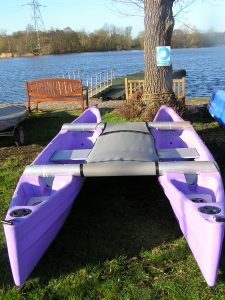 Qualified instructors and assistants will run the activities. Open to all special need groups and individuals from aged 8 years. Cost: £5 per participant (maximum of two carers per person are allowed free). Sunday 9 June 2019 – 10.30am until 4.30pm. This day is very popular therefore advance booking is strongly advised, although booking on the day may be possible if there is a cancellation (ring for availability). Contact the HOAC office for more information on 01895 824171. We offer a range of activities which are suitable for a wide variety of additional needs. We aim to promote education, personal development, rehabilitation and integration in a fun and active environment. 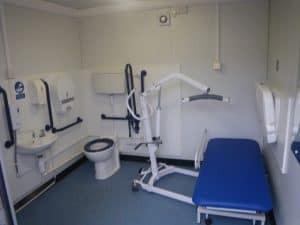 To help make your experience with us the best it can be, we have a range of facilities to offer the very best access to the site. For individuals with any physical disabilities we have a range of activities that can be adapted without compromising safety. 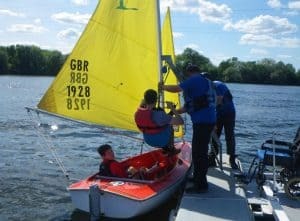 We have a hoist to enable those in wheelchairs to participate in the following activities: Sailing, Sculling, Canoeing, Bell Boats/Kata Kanu, and Climbing. The Centre has wheelchair access and disabled toilet facilities with hoist and changing bed. We also have two purpose-built off-road wheelchairs for those able to leave their own chair, enabling easier access to the woodland areas of the site. We also have BOMA Karts which are hi-tech off-road electric wheel chairs. They have joystick controls and the supervisor can control the speed, direction and stop the kart remotely. These karts provide a terrific opportunity for those who would normally be confined to level tarmac pathways and can be a source of great fun. The use of these must be booked in advance. 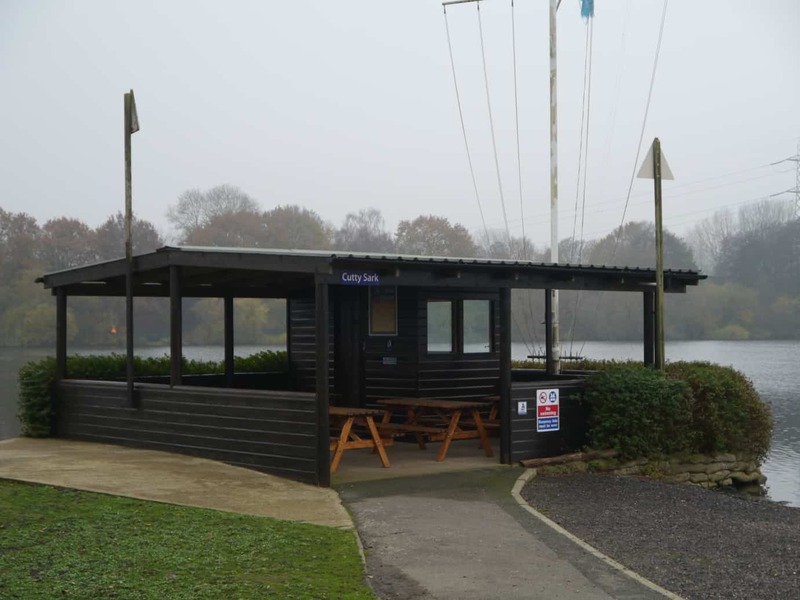 We also have full wheelchair access to the water and a hoist to lift those who need it onto the adapted sailing, canoeing and rowing boats. 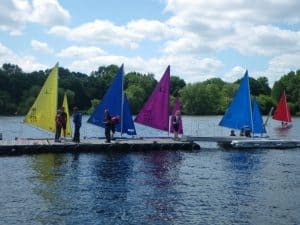 We have sailing boats which do not capsize in addition to rowing boats with stabilisers alongside our stable Kata Kanu’s. Assistance dogs are welcome on our site. We do not have hearing loops in the Centre due to the magnetic field it emits and the needs of some of our clients. Our staff are happy to wear personal microphones if participants require this. Our instructors are trained to work with groups of all abilities. 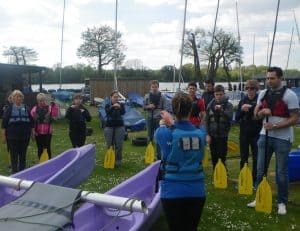 Some of the instructors are very experienced in working with special needs groups and hold a variety of awards including: BSL Level 1 and 2, Level 1 and 2 in Managing Challenging Behaviour and RYA Disability Awareness. This is the one of the shelters where you will be welcomed and asked to leave your bags, you will be told a little about what we are going to do and you will meet with your instructors. 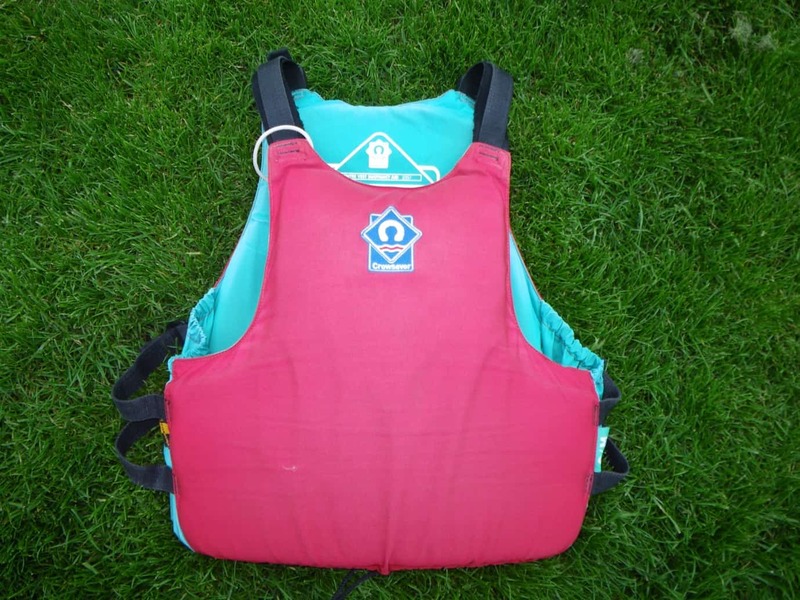 Before you go out on the water you will be asked to wear a buoyancy aid. These come in different types and colours and will need to be fitted to keep you safe and secure. Everyone in our centre who goes near the water will be wearing one of these. When these are fitted correctly they should feel a bit like someone is giving you a nice big hug. If you are going sailing you will probably go out on a boat like this one. It is called an Access dinghy and we have them in lots of different colours. and Kata Kanu’s which you might go in.